This product made of high quality wood material, that is why it is environmentally friendly, safe, non-toxic and durable. Its unique design makes it easy to pull and twist, and will come back to you after throwing it. With better wind resistance, it can also fly away, it is very handy. It is a good selection to play outdoors and will bring you more fun. You deserve such wonderful products! Size: Approx. 26 * 26cm / 10.2 * 10.2inch. 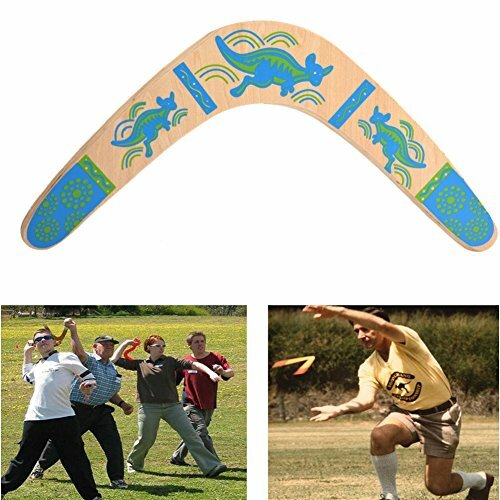 LEFT HANDED Blue Bumblebee - Easy Returning Boomerang. Great for kids and adults.